Robert F. Kennedy died 50 years ago this Wednesday, assassinated in the pantry of the Ambassador Hotel in Los Angeles by Sirhan Sirhan. Sirhan, who was born in Jerusalem, was said to have been motivated by Israel's treatment of the Palestinians and his hatred for Kennedy for his support for Israel, though RFK's stance was virtually identical to all other mainstream politicians at the time. Sirhan was tried for murder, found guilty and is still in prison. But the bullets he fired ended Kennedy's heartbreakingly brief – 85 day -- campaign for President in 1968. Some, even today, think it ended a generation of hopes. Bobby Kennedy’s campaign started on March 16 that year with widespread criticism verging on disgust with the seemingly endless war in Vietnam, which led to then-President Lyndon Johnson's stunning March 31 announcement on that he would not run for re-election. Within days, Vice President and former U.S. Senator Hubert Humphrey decided to run, largely supporting Johnson's policies. Former U.S. Senator Eugene McCarthy had been the first to announce his candidacy, also designed to appeal to anti-war liberals and the left. His stunning near-defeat of LBJ in the New Hampshire primary strongly helped motivate Kennedy to get in. I had started my newspaper company barely two years earlier, after a stint in Washington running a congressional office. I had been offered a job by President Johnson reaching out to young people in support of the war, but I turned it down on the grounds I couldn't support what we were doing in Vietnam. (Not only that, but I was still in my 20s at the time and would have been handed my head if I had decided to work in the White House.) I was acquainted with Hubert Humphrey, who I felt had sold out to Johnson. And I concluded Sen. McCarthy, who thought of himself as a poet, was too vague and impractical to be a serious candidate for the presidency. So it wasn't hard for me to decide to follow my heart and support Bobby Kennedy, who had by then established a remarkable emotional bond with an extraordinary range of his countrymen: Impoverished African Americans, disenfranchised farm workers, anti-Mafia law-and-order types, independents, and many in the business communities on both coasts. He spoke of his martyred brother Jack's hopes, repeating his call for a new generation of American leadership. He was slim under a shock of dark brown hair and seemed both slight and vulnerable – which only added to his emotional appeal. I had met him several times in Michigan during his exploratory campaign and was overwhelmed at his tough-guy-who-could-get-it-done approach, coupled with his strong and wide emotional appeal. During the run-up to the national Democratic convention in Chicago late that August, the lineup was: Humphrey, appealing to establishment Democrats and organized labor; McCarthy, appealing to liberals and intellectuals; and Kennedy, supported by a wide diversity of groups. Together with a small group of insurgents, I joined up with the Kennedy partisans early in the year, contesting for delegate seats at the convention. The struggle was intense, but never poisoned in the way such politics have become in recent years. We felt pretty proud of ourselves for having fought organized labor, which was then far more powerful, to a draw. We were primed and ready for the upcoming convention. But I will never forget my shock and tears when my mother came into my bedroom (I was staying at home while looking for an apartment after living in Washington) first thing the morning after the California primary to tell me that RFK had been shot. The outlook was grim from the start, and he died early the next morning. So a number of us went off to Chicago more in grief and anger than hope, where we were greeted by massive demonstrations on the waterfront that history now calls the effective peak of the "Liberal Decade of the '60's." Police presence was intrusive and, in some cases, too forceful; and the management of the convention plainly was controlled and biased by the Humphrey people. So after a memorial documentary of Kennedy's life was played, we all stood in the darkened auditorium and started to sing "The Battle Hymn of the Republic," which had been a Kennedy campaign theme song. We sang on and on. On the podium, the chair, Democratic House Majority Leader Carl Albert, pounded his gavel, trying to bring the crowd to order. No such luck. We just kept singing our hearts out, verse after verse, most of us in tears. The demonstration must have gone on for more than an hour. I still remember, word perfect, every verse of that hymn and cannot sing it without feeling caught up in emotion. Humphrey was nominated and ultimately defeated by Richard Nixon. And the long litany of increasingly partisan politics began its rumbling way that has accelerated ever since and today is deeply poisoning the political life of the country. It's easy to play "What if?" about Robert Francis Kennedy. Had he been elected, he might have resolved the war in Vietnam in a better, faster and more conclusive way; he might have pulled our country together in the decades after the '60's. Or he might have been a casualty to the divisions even then ripping at our country. Reflecting on his candidacy on the 50th anniversary of his death, I feel somehow that our nation has been short changed for leadership ever since. What I know is that finding an inclusive new healthy American patriotism still remains elusive, and that this is something that should be at the very top of our national agenda. Your hopes never had to face reality (or an un-compliant press) so Robert (and John Kennedy for that matter) both get to spend their eternity in the world of "only if". While history never reveals the alternatives, no question but that the loss of Robert Kennedy was the first step in a disastrous series of events that have brought is to a point where Russia and Germany are becoming the leaders of the 'free world'. The trend toward polarization that began with the election (and impeachment) of Nixon keeps moving forward. Barack Obama did make the attempt to be President of all of the people, not just his supporters, but even that effort has now been overcome with the politics of kleptocracy. Excellent article. Compelling and a great reflection on an important historical event. 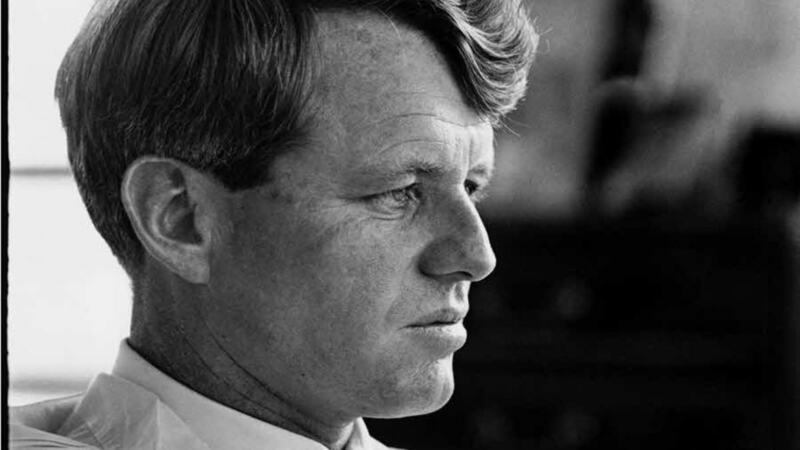 Would our world be better today if Robert Kennedy had lived? I say, yes. My confidence is based upon an excerpt from RFK’s speech at the University of Kansas (18 March 1968). It was a life-affirming speech about a better America and a measure of what "makes life worthwhile". I was junior in high school, a news junkie, and an avid supporter of Senator Robert Kennedy. When I went to bed he was alive, and I was filled with a new sense of optimism. I woke up to the tragic news on my bedside radio, and I have never regained my sense of optimism about our political process. The JFK, MLK and RFK assassinations and the '68 convention combined with the Wallace primary victory in MI, the Vietnam fiasco, Nixon's second term victory and Watergate left me deeply cynical and disillusioned. Had RFK lived, I believe we may have seen the growth, rather than decline, of the American Dream. The assassinations of the 1960s changed the course of our history. They were tragically effective in removing attractive liberal leadership. Phil, had you known about the Kennedy's attempts on Castro and the burning of fields in Cuba, the use of the Mafia in the election of JFK, the approval of the wiretapping of MLK, and the approval of the assassination of Diem, would your views be any different? How about his and JFK's relationship with Marilyn Monroe? I only ask because we tend to think that an assassinated leader would have done great things so we idealize them.